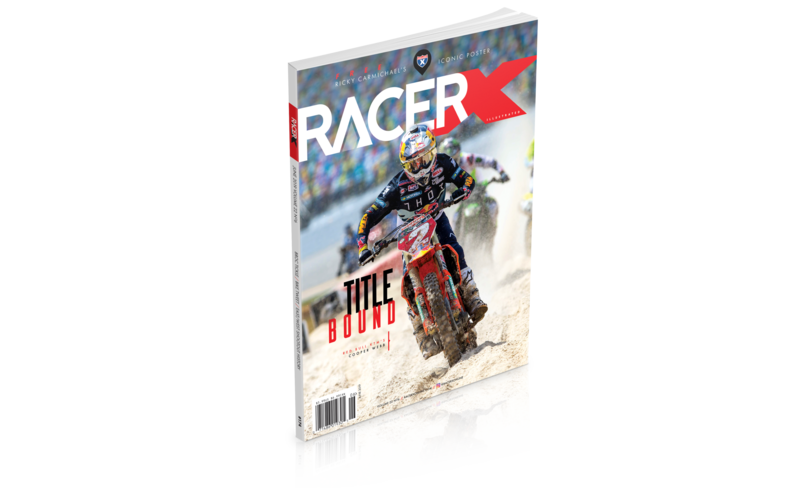 Normally, the digital edition of our monthly Racer X magazine is a paying subscribers-only thing, but we're so proud of this new technology and complete revamp that we're going to let everyone read it for FREE. This is a magazine issue that reads just like a website or a social media post. Read it for no charge right now, right here. You'll get to read Davey Coombs' feature on Broc Tickle's drug test related suspension and why it's taking so long to clear up, Brett Smith's story on "the most expensive photograph in motocross history" and how it ended up on a billboard, Davey Coombs' feature on the history of the East/West Shootout/Showdown, and our whole crew's week at Daytona Bike Week. Plus all our usual stuff, like former Transworld Motocross journalists in 2 Tribes, how to shave weight off your motorcycle, Doug Henry vs. Budds Creek, Chad Reed's career stats, and much, much more. Seriously, the whole thing, brand new, for free. We're not going to offer up the freebie forever so be sure to take your test ride now. Read the June issue for FREE!